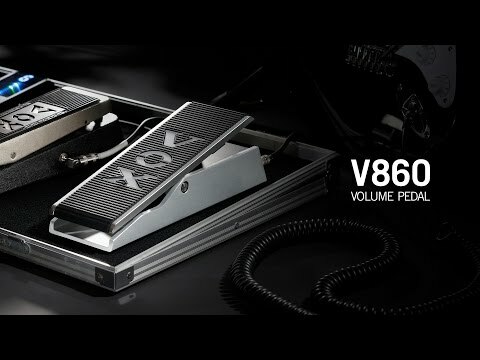 The V860 represents a new standard in guitar volume pedals. It's a reimaging of the classic VOX pedal design exemplified by its well-known wah pedals. The stylish aluminum body features a blasted and anodized finish that is both tough and classy. The pedal mechanism uses gears with a high tooth count, ensuring durability and smooth operation. The components are completely hand-wired, minimizing any change in the tonal character.